Cardboard boxes were the inspiration for the Children's Area. Actually made from MDF, the play houses keep kids entertained while parents shop. 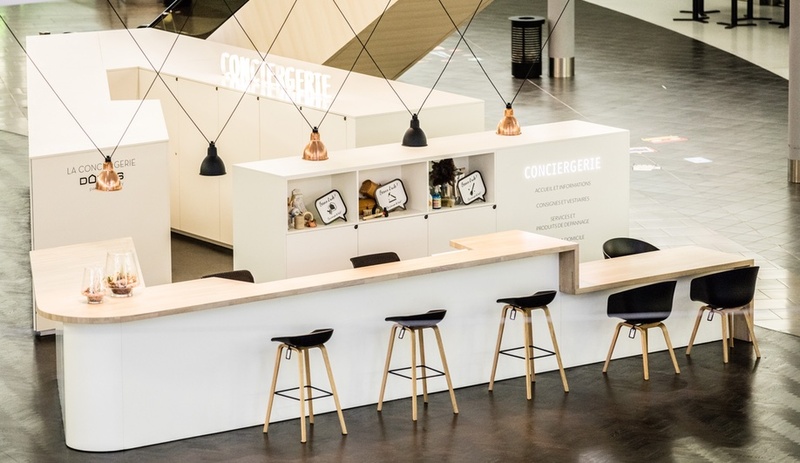 London design studio Campaign creates a relaxed, modern vibe for DOMUS, a shopping centre just outside of Paris. 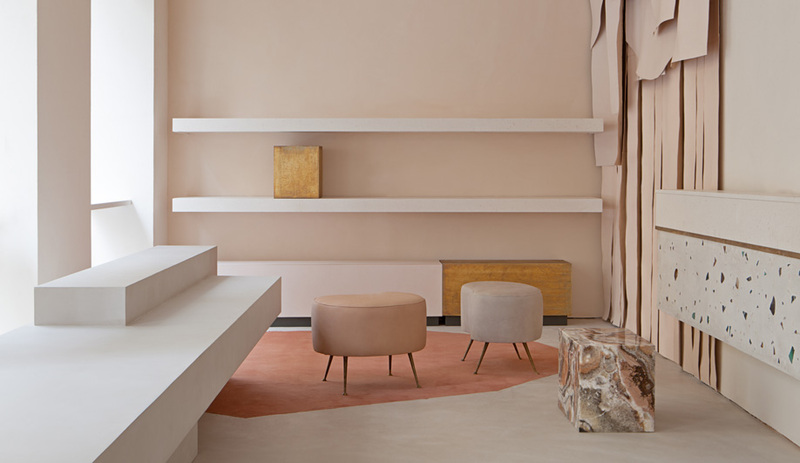 When Campaign design studio was tasked with redesigning a shopping centre dedicated exclusively to the home, the mandate was simple – aspirational, modern French living. 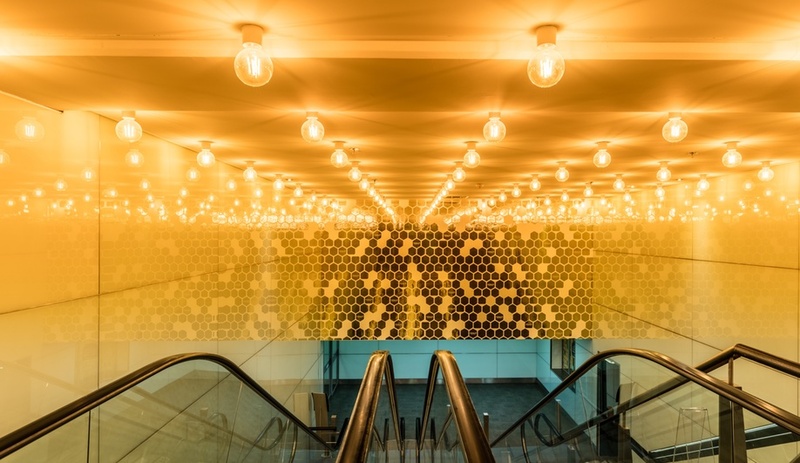 Well-versed in creating luxury retail experiences, the London-based firm delivered a pièce de résistance with the main restaurant area. 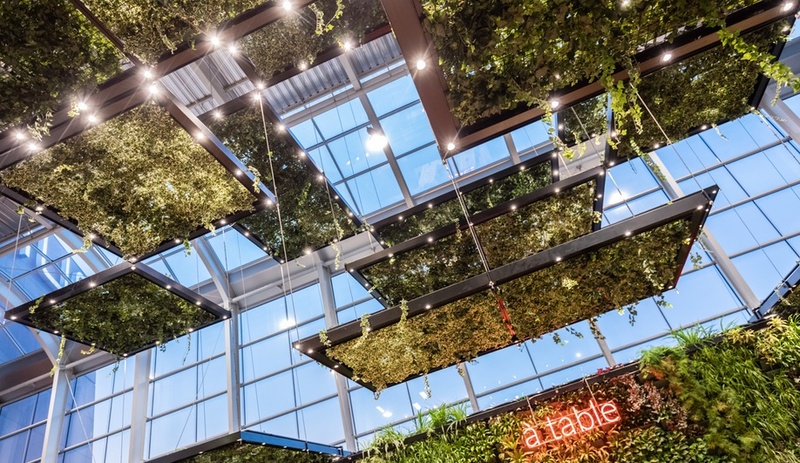 A destination in and of itself, the restaurant zone is defined by lush gardens suspended overhead. 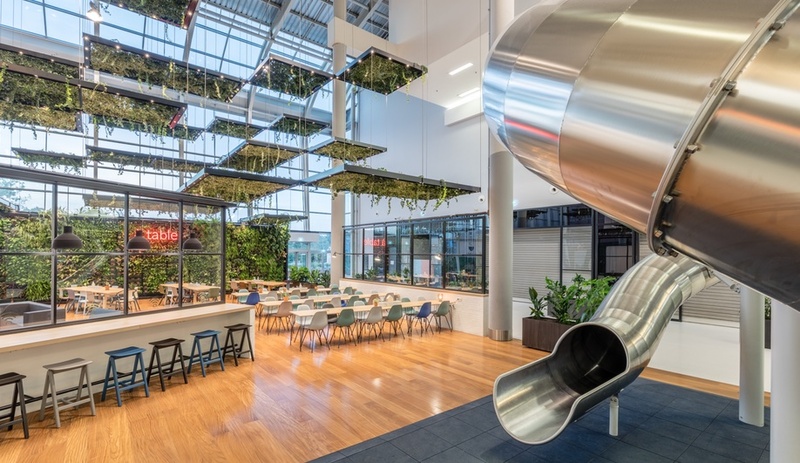 The idea was, according to lead designer Ryan Rankin, to “bring the outdoors in, and to also create some vertical intrigue, making the space much less architectural and more convivial.” That intrigue was successfully delivered through the installation of 20 hanging garden beds set at different heights. Double-height windows at the entrance help bring in tons of natural light, and further strengthen the connection between indoors and out. 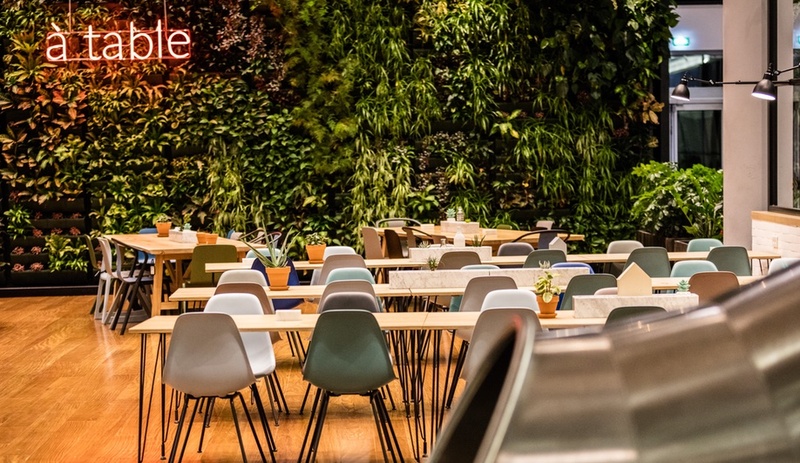 Like an indoor picnic destination, the dining space is shared by six different restaurants. 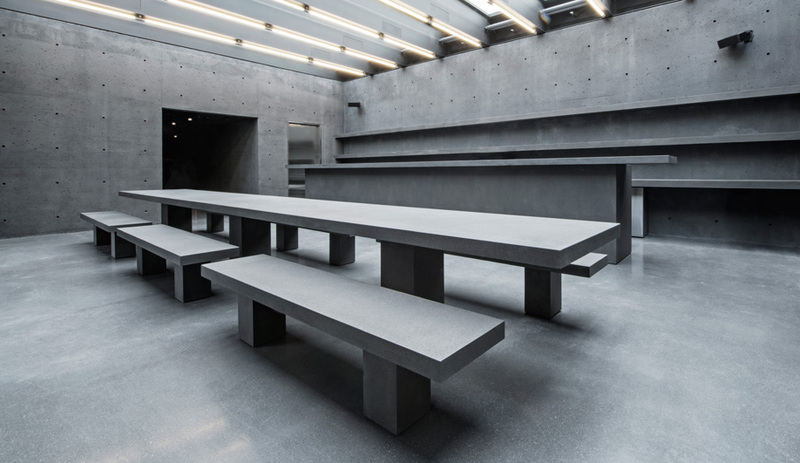 Sprawling family-style tables and a mix of chairs and stools “encourage the ethos and culture of eating together,” says Rankin of the casual arrangement. 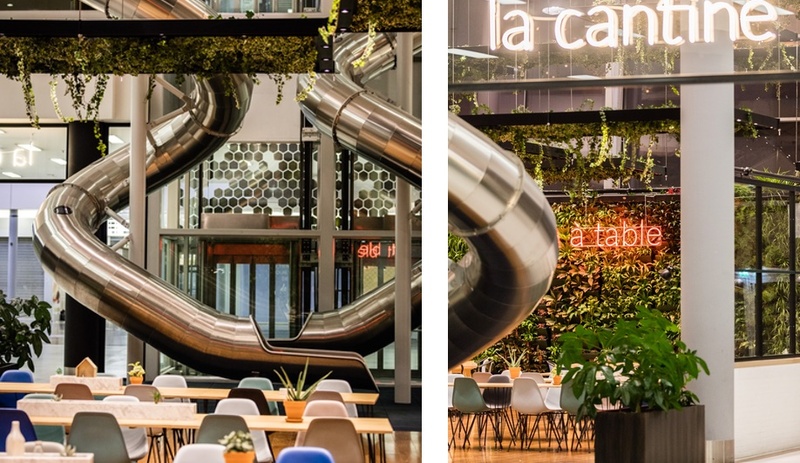 Perhaps even more unexpected than such a well-considered food court, is a means of how to get there – via a pair of gleaming chrome slides. 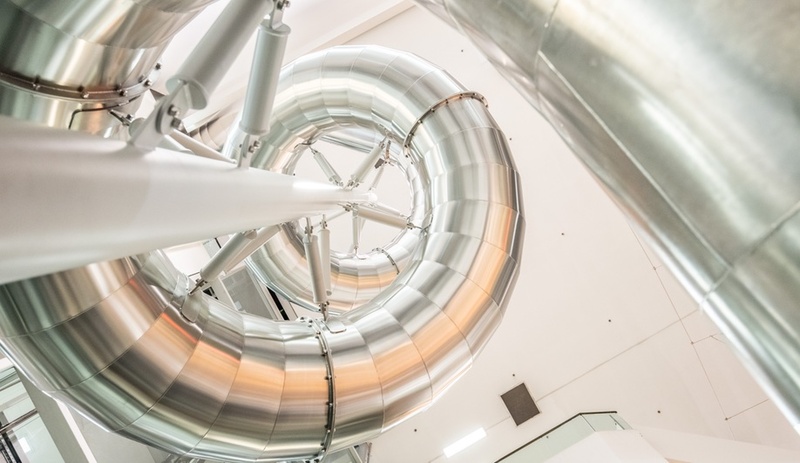 Accessed from the third and second levels, the two slides twist and turn around one another, depositing riders at the entrance to the eating area. At the Welcome Desk, the white laminate concierge desk sits atop a brushed and oiled wood floor, laid in a herringbone pattern and given a wax finish. 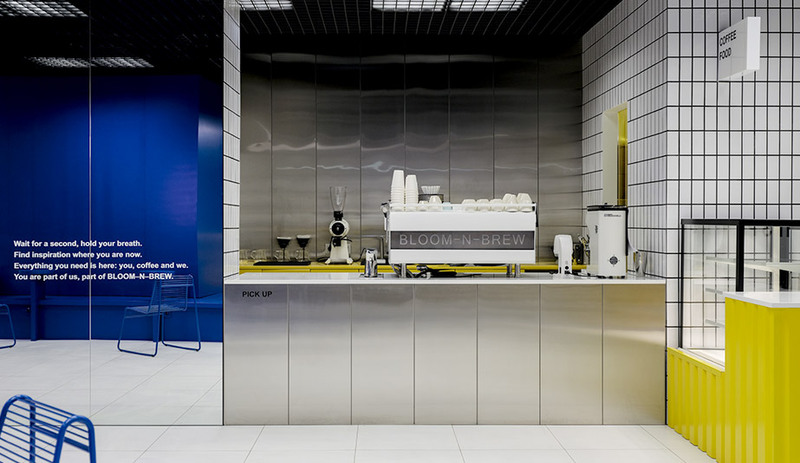 The main interior spaces were tailored to house the retail shops that are a mix of luxury homeware brands and high street fixtures. 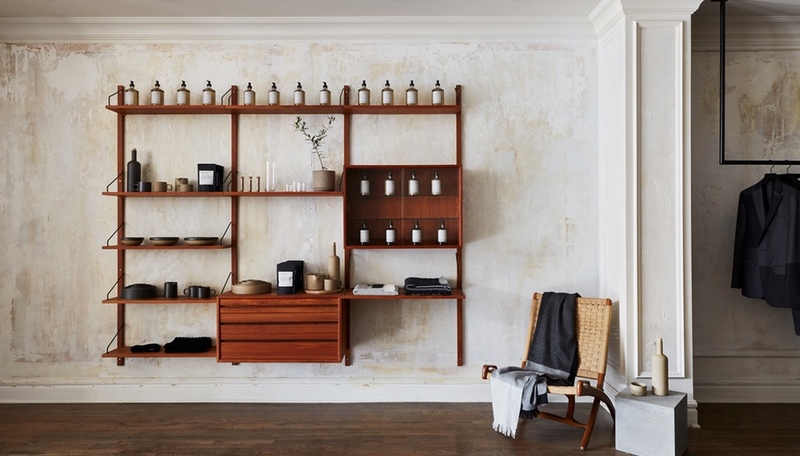 A muted palette of soft creams, beiges and warm woods – inspired by those typically found in modern French apartments – create a calm and inviting backdrop for wandering shoppers. 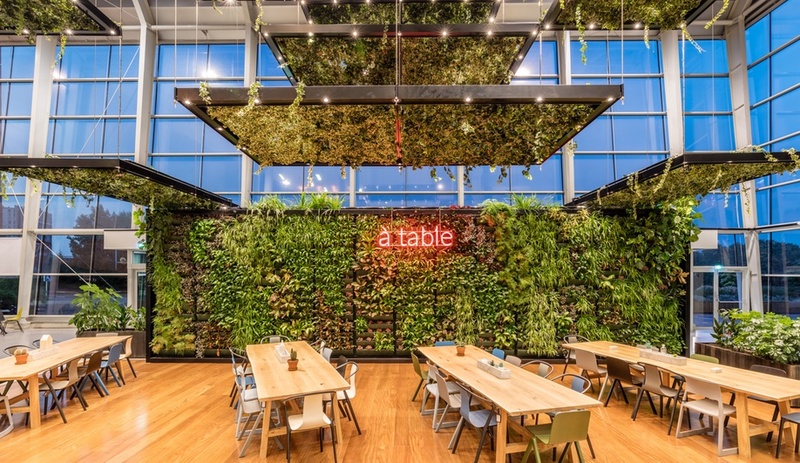 Glassed-in features found throughout have a greenhouse-like aesthetic, perhaps referencing back to the verdant plantings of the restaurant. The glass and iron houses serve as pop-up shops that brands can rent out to showcase and promote their wares. 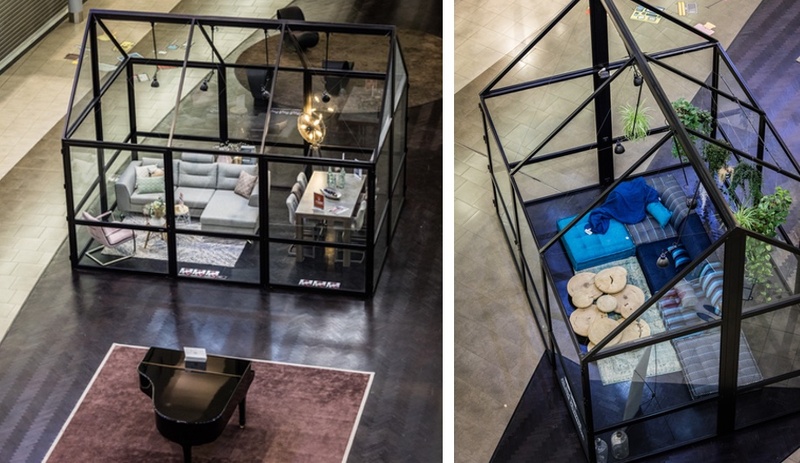 Glass and black metal greenhouse-style structures serve as pop-up displays for brands to showcase their wares. Also important to the overall retail experience was to include a place where children could play and be entertained while parents shopped. 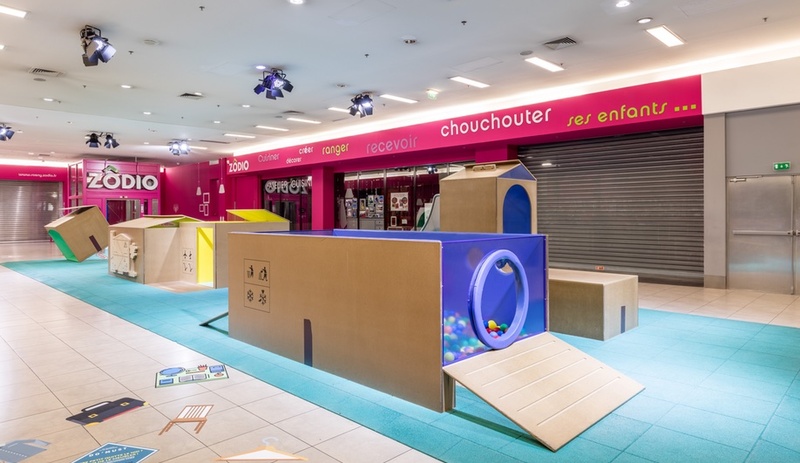 Inspired by the creative possibilities that an empty cardboard box represents, the studio crafted a structure out of MDF to form an indoor playground, complete with spring-mount teeter-totters, playhouses and a ball pits.